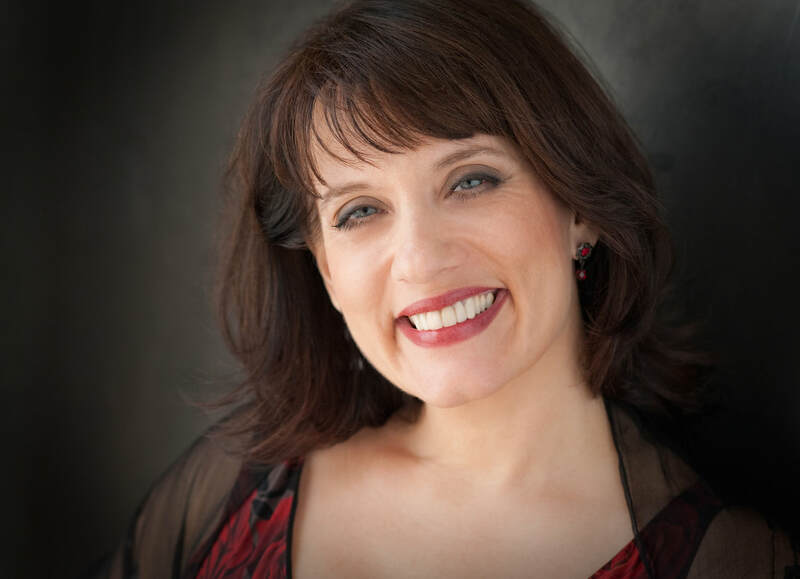 Soprano Christine Moore Vassallo is a versatile performer with equal authority in opera, recital, and contemporary music. The Sacramento, California native counts among her many roles Mimi in La Bohème over several seasons with the Leipzig Opera, Madama Butterfly, Alice Ford in Falstaff, Micaela in Carmen, the title role in Suor Angelica, Santuzza in Cavalleria Rusticana, Donna Anna in Don Giovanni, Countess in Le Nozze di Figaro, Leonora in Il Trovatore, and the title roles in Aida and Ariadne auf Naxos with such companies as the Leipzig Opera, Central City Opera, Santa Fe Opera, Chautauqua Institute, Utopia Opera, Create Opera, Lyric Artists of New York, the Aldeburgh Summer Festival, Sacramento Opera and the Amato Opera. She was a regional finalist in the Metropolitan Opera National Council Auditions and First Prize winner of the Sacramento Opera Competition. Oratorio performances include Barber's Knoxville-Summer of 1915, Handel's Messiah, Beethoven's 9th Symphony, Rossini's Stabat Mater, Mendelssohn's Elijah, and the Verdi Requiem with the New York Choral Society and with Orchestra Amadeus. In 2013 she made her Italian debut at the Narnia Music Festival celebrating the 200th birthday of Verdi, and this summer she will perform in concert in Equi Terme and Lucca in Tuscany, Italy. Christine has performed numerous solo recitals in many languages, including in Granada and Madrid with Festival de Canción Española, Trinity Concert Series in New York, and the Library at Lincoln Center. Merkin Concert Hall, the Edinburgh Fringe Festival, and the Old Stone House. She made her UK debut at the Paxton Chamber Music Festival in Scotland with Schönberg's Pierrot Lunaire, and has premiered many new works by living composers, including Richard Thompson's song cycle The Shadow of Dawn and the NYC premiere of his opera The Mask in the Mirror, Andrew Rudin’s Masha’s Arias, and works by Michael Rose, Kareem Roustom, Richard Cameron-Wolfe, Steve Gerber and Zaid Jabri with the Brooklyn New Music Collective. In 2013, she curated and performed, to critical acclaim, in Nearer to East – Chamber Music from the Arab World, a program which featured compositions by Arab and Arab-American composers in one recital at the Bruno Walter Auditorium in the Library at Lincoln Center in New York City. Recordings she has made include Christine Moore - Arias with the Bulgarian National Radio Symphony Orchestra (Musical Concepts, 2006) and the soon-to-be-released From Al Andalus to the Americas–An Odyssey of Spanish Song (Meridian Records, UK). As a teacher, Christine has over 20 years’ experience in her private studio and as former faculty member of the Brooklyn Conservatory of Music, the Alaria Chamber Music/Mannes College of Music Extension Division, the summer academies at the Narnia Festival and Festival Musica in Laguna in Chioggia Italy, and with the Music Partners program at the Brooklyn Conservatory of Music, which brings musical instruction to underserved communities of New York City. This June she will be a first-time teaching artist with the inaugural Lunigiana International Music Festival in Fivizzano (Tuscany) Italy. As an educator dedicated to helping young singers, and as a Lebanese-American, she is thrilled to be combining her profession and her heritage with YES Academy Lebanon this year for the first time.